Today at #RainbowCon: Friday July 17th. 8 – 10 PM: (Section III) It’s a Drag! 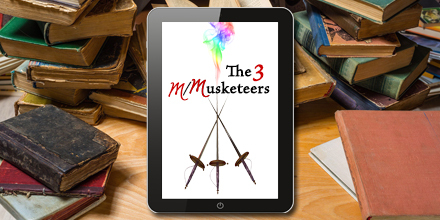 I’m also on the new 3M/Musketeers Podcast today! Check it out. We talk a bit about my work and finding our voice as gay male writers. It was a very fun discussion. Direct link to the show. I’ll also be at my table #39, just outside the Princess Palm Ballroom, selling and signing books and cards. Stop by to say “hi.” Please!